Whether you are navigating the concrete jungle or summiting Mt. Everest, Power For Life is your survival kit. We call it a miracle – this superfood supplement literally does it all, with a potent combination of alkalizing organic whole food ingredients that detoxify, nourish, protect and balance your body’s systems to achieve vibrant health, enhanced immunity, sustained longevity and well-being. Why just survive your day when you can thrive with energy and increased vitality by adding Power For Life to your daily health ritual and routine. We suggest 3 bottles as an initial order. 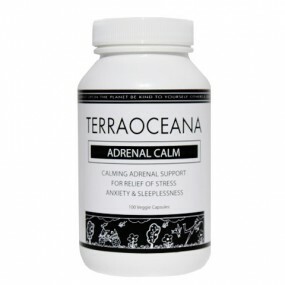 Category: Foundational Health, Ideal Weight, Travel Survival Kit, Strong Immune System, Stress Relief, Digestive System. Power For Life is a comprehensive foundational formula created for your optimal health, sustained energy, enhanced immune system and for anti-aging. It is filled with cell-protecting ingredients you won’t find in most supplements. Ingredients that support the life building processes of digestion, circulation, muscle recovery and immunity. Power For Life is an organic, unique synergistic blend that provides a vast array of nutrient dense sea vegetables, high powered herbal extracts along with potent superfoods, immune boosting antioxidants and probiotics. Results speak for themselves…. and we guarantee you will see and feel a significant improvement in your health by adding TERRAOCEANA’s Power For Life to your daily health ritual. Power For Life is a blend of the greatest phytonutrient (phyto=plant), antioxidant and probiotic rich green super foods ever assembled. This uniquely engineered live food formulation is specifically designed to include those phytonutrients that support good health by cleansing, strengthening, and balancing the body’s energy, along with revitalizing key cellular structures. Science has long known phytonutrient elements are of benefit, even essential, to life. Many of these critical elements that have been identified by science are brought together in Power For Life to provide the most powerful and progressive nutritional support available today for you and your family. 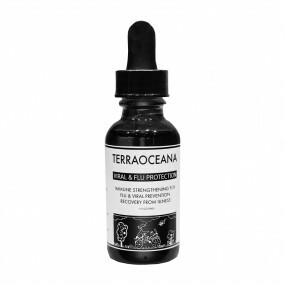 All of the ingredients in TERRAOCEANA’S Power For Life formula are farmed by enviormentally conscious US growers. The plant origins from which these phytonutrients are harvested are ORGANIC or collected from wild-crafted pristine natural enviorments. All of theses plants are grown in a manner consistent with the balance of both the local and global ecosystems. Vitamins and minerals are only a fraction of the nutrients found in whole live foods. Live food contains water and/or fat-soluble vitamins, minerals and other nutrients in a highly complex interlocking system of proteins, carbohydrates, lipids, enzymes, co-enzymes, nucleic acids, etc. All of these elements are necessary for the proper absorption and utilization of vitamins and minerals into the blood, lymphatic system and cell structures. Most vitamin and mineral supplements are really synthetic USP (United States Pharmacopia) grade chemicals called Isolates – even those derived from so-called natural sources. Isolate refers to the fact that a vitamin was isolated from its natural nutritional component. Isolates often contain traces of petroleum based chemicals from the extraction process. Power For Life contains all the necessary key nutrients, including vitamins and minerals, because it is made from organic whole LIVE superfoods. It also provides you with; probiotics, undenatured proteins, amino acids, carbohydrates, trace minerals, antioxidants, essential fatty acids, plant based digestive enzymes and phytonutrients that can all be destroyed in normal food processing. Power For Life is a complete foundational formula that has been helping people achieve their health and fitness goals since 1995. When it comes to burning fat, keepina astable blood sugar level is essential. When your blood sugar level is too low or too high, your body will store fat. When levels are stable, the body will naturally use stored fat as an energy source. Our Pure Probioitcs and Probiotics & Ionized Minerals are also known to generate insulin-like factors to help keep these levels balanced. Our formula’s impact on the digestive and elimination system, supports the fat metabolism process as well. All three of these products have extensive benefits to the digestive and elimination system, balance blood sugar levels and support the fat metabolism process as well. Antioxidants are the most important factor in the anti-aging process and in the protection of cell structures. Antioxidants are a specific group of nutrients and enzymes that help the body metabolize and utilize oxygen and combat free radicals. Free radicals are molecules with unpaired electrons that react with healthy substances to damage or destroy their natural function and cell structure. Stress, injury, illness, alcohol, chemical toxicity, environmental pollution and a diet of processed foods create free radical activity at a deep cellular level. Scientists worldwide agree that free radicals are the largest causation factor in the genesis of degenerative conditions and diseases including heart disease, cancer, diabetes, arthritis and Alzheimer’s. Nutritional studies have found that antioxidants are a major factor in preventing these problems. All the antioxidants found in Power For Life are derived from organic whole ‘LIVE’ superfoods, not synthetics. Our ingredients are the most potent anti-aging and cell protecting nutrients available to combat free radicals. Your body body’s ability to maintain itself in it’s enviorment is immunity. The immune system is not just a simple process of white blood cells killing invaders. For example, the ability to digest food is immunity. Your body must have the ability to break down the food your ingest or it becomes a toxin or invader. If your body cannot adequately digest, assimilate and eliminate, it will directly and indirectly effect your immune system in adverse ways and impair your health. Providing your body with appropriate nutrients that are the building blocks and foundational support for a properly functioning immune system is essential for a healthy life, for anti-aging and for healthy aging. The correct nutrients enable your muscles to recover and repair at a faster rate. Many of the ingredients produce an anti-inflammatory effect to help prevent injury to joints and muscles, another key factor for conditioning and fitness and for remaining as pain free as possible. With it’s strategic formulation of ingredients, Power For Life is an excellent choice for both your pre and post workout drink to mazimize your health and fitness program. We promise you your body will thank you! Most people’s intestinal environment has been compromised from antibiotics, stress, alcohol, sugar and poor nutrition. 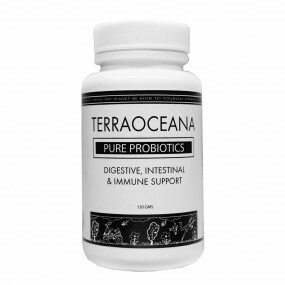 Friendly Bacteria called Probiotics are necessary for proper intestinal function. They are literally the bridge between your food being converted efficiently into useable energy or not. Mental clarity is related to the oxygen your brain receives. Our foundatiuonal product, Power For Life supports the oxygenation of blood through the process of green foods building the capacity of our blood to transport more oxygen. One of our key ingredients called Chlorophyll is almost identical in structure to our red blood molecule. It is the best natural blood builder and cleanser in existence. Our organic Flax Seed sprouts, Flaxfiber and Sunflower Lecithin in Power For Life are scientifically proven to significantly reduce cholesterol levels regardless of dietary changes or intake. Flax Fiber has been proven to reduce LDL levels and improve overall heart health through its rich fatty acid content. Herbs such as Curcumin and Hawthorne Berry have powerful antioxidant properties to protect and strengthen the heart as well. Adding Power For Life to your daily health program can and will provide the heart protection all of us need to support this vital and life giving organ. One of things you’ll notice is that the quality of your skin will improve when taking Power For Life. It will become smoother, softer and have more color because the your organs are operating more efficiently and eliminating toxins. Power For Life is the missing link to your skin care program because it addresses your internal imbalances. It also helps reduce effects from overexposure to the sun. Science has shown that a diet rich in green foods and antioxidants helps the body to produce a healthier, richer and darker pigment. Power For Life helps improve your skin quality from the inside out because it increases the integrity of all your internal systems…. Health inside equals health outside. All of the organs and systems of the body, including the brain, heart, blood, lymph system. etc., need the correct nutrients to survive and function properly. If you provide the body with the appropriate chemistry in the form of food and supplements, you support that process. The process of knowing what foods to eat and what supplements to take to provide yourself with proper nutrition can be confusing. Power For Life addresses this concern with the creation of our complete foundational system. Our ingredients assist the body’s pH balance and alkalinity to keep your body in optimal condition. This uniquely engineered organic whole ‘LIVE’ superfood formulation is specifically designed to support your health by cleansing, strengthening and revitalizing your body’s key cellular structures. 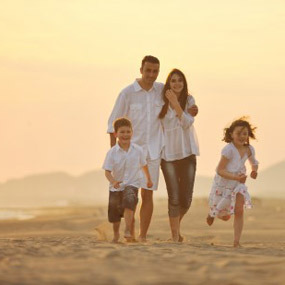 Power For Life can and will provide you and your family with the most powerful and progressive nutritional support available today. Getting all the nutrients we need just from the foods we eat is next to impossible. That’s due to the way foods are processed and prepared, the impact that pesticides and the environment have had on the food chain and our compromised ability to assimilate many kinds of foods. Even if you choose the right foods, by the time the food gets to the dinner table, what nutrients were there, can be significantly diminished. As a result, we end up eating diets of ‘dead’ food in an attempt to create a live body. With time, the body’s capacity to function from these nutrient deficient diets diminishes, and disease occurs. But only organic whole ‘LIVE’ superfoods can supply the essential nutrients necessary for optimal cell regeneration and health. ‘LIVE’ foods are foods that have retained the integrity of their nutrient content and molecular structure found in their raw state. Phytonutrients contain all of the necessary well known nutrients we are most familiar with, as well as hundreds of lesser known ones that are instrumental in building healthy cells and preventing disease. Phytonutrients contain complex long-chain molecules that are perfect building blocks for many types of hormones, neurotransmitter and enzymes. Power For Life is formulated with a superior and synergistic blend of phytonutrients which have scientifically shown to have nutritional, medicinal and healing benefits. What is Power For Life? Power For Life is an all-in-one whole “live superfood” powder that supports health, performance and anti-aging. It is our foundational product and is available for use by people, dogs, cats and horses. This unique, synergistic blend provides a vast array of nutrient-packed sea vegetables, high-powered herbal extracts, super foods and immune-boosting antioxidants and probiotics. 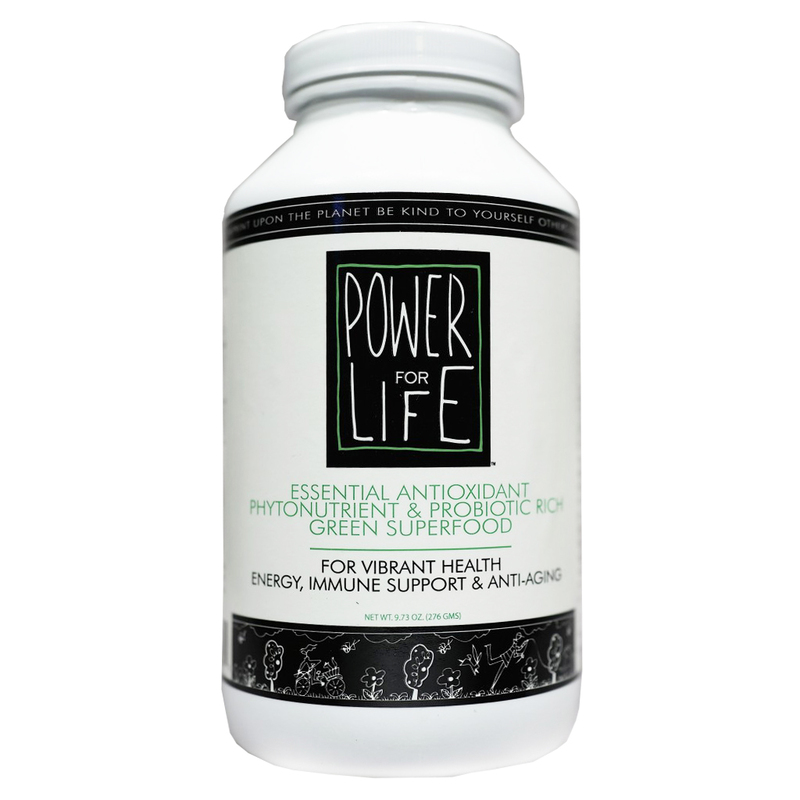 Power For Life is a blend of phytonutrients, antioxidants and probiotic rich super foods unavailable in most supplements. These super foods are the world’s most reliable sources of vitamins, minerals, trace minerals, amino acids, and digestive enzymes required for optimal health and superior nutrition. 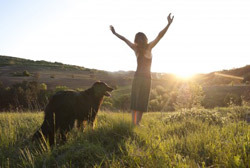 Results speak for themselves… and we guarantee you and your animal friends will see and feel a significant improvement in your health! What will I experience when I take this product? Most people experience a greater sense of well being, increased energy, increased metabolism (fat burning), stabilized blood sugar levels, improved digestion, and reduced recovery time from exercise. This antioxidant rich formula helps combat the effects of disease and aging by reducing free radical activity. How much do I take daily? The average recommended maintenance dose is (1) one tablespoon daily, though more may be taken and is recommended if you have health issues, are ill, traveling or during times of high stress. If you are new to Power For Life, you will benefit from taking (I) one tablespoon (2) two times daily for the first month. Then try dropping down to the maintenance dose of (1) one tablespoon daily and see how you feel. Many people like the energy and clarity they have with an increased dose. You cannot take too much Power For Life as it is an organic whole live food. Each bottle of Power For Life contains a month’s supply based on consumption of 1 tablespoon/day. What is the recommended initial order? We suggest 3 bottles at the 5% savings. The first month you will take the suggested double dose and the second month the dose can be reduced to a single portion unless you prefer your level of health and vibrancy at the higher dose. What is the best way to mix my Power For Life product? Mix with your favorite 50/50 blend of juice, milk, coconut milk and water. Use a blender or whisk. Fruit, nuts, nut butters, yogurt or vegetables can be added to create a satisfying breakfast, lunch, mid afternoon snack, dinner or workout drink. Power For Life is most effective when taken on an empty stomach and 1/2 hour before workouts. Most people experience results within 2-3 weeks if using the recommended double dose protocol. Sensitive people often feel a difference immediately. Power For Life provides all of your required vitamins, minerals, trace minerals, amines, essential fatty acids, vegetable digestive enzymes, probiotics, antioxidants and phytonutrients in a “live whole food” delivery system. Does Power For Life conflict with any medications? No, however if one has a specific illness, please contact your health care practitioner. Is Power For Life appropriate for children, pregnant women or nursing mothers? Yes, Power For Life is great for children as it helps support their immune system and balance their blood sugar levels. Power For Life is also a wonderful product for pregnant women and nursing mothers with the additional nutritional demands placed on their systems.